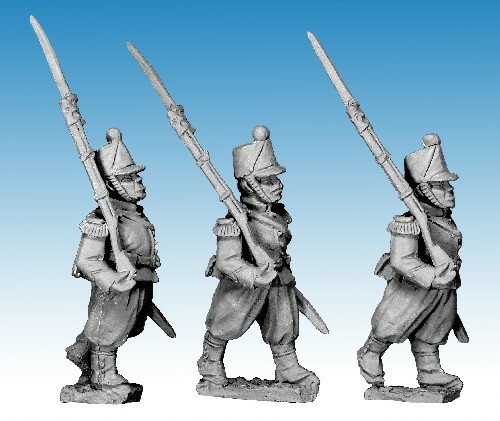 CF24A - French Guard Chasseur Marching. You receive a random mix taken from the three different figures shown in the photograph. The rifle arm is separate and needs glueing in place.